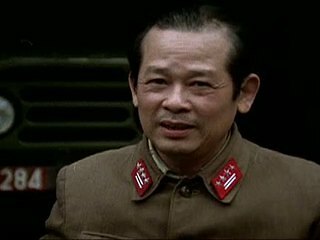 Bui Tin, a Colonel in the People's Army of Vietnam, describes the liberation of Saigon by the North Vietnamese in 1975. He recalls being one of the first officers to enter Independence Palace where they demanded the surrender of members of the government of the Republic of Vietnam. Chicago: “Vietnam: A Television History; Interview with Bui Tin , 1981,” 02/02/1981, WGBH Media Library & Archives, accessed April 25, 2019, http://openvault.wgbh.org/catalog/V_484A3DE6CE19467F92F12A2C08FD151A. MLA: “Vietnam: A Television History; Interview with Bui Tin , 1981.” 02/02/1981. WGBH Media Library & Archives. Web. April 25, 2019. <http://openvault.wgbh.org/catalog/V_484A3DE6CE19467F92F12A2C08FD151A>.